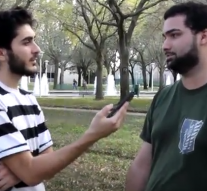 Two students conduct a series of interviews on the gun violence issue after the events that took place in Parkland, FL. Warning: Sensitive issues and profanity. Watch more video podcasts on their youtube channel.